This month I managed to wrangle someone else to model for me, even though it meant only just squeezing the July whimsy on to the blog by the end of the month! For this month's theme, I chose ladybugs. 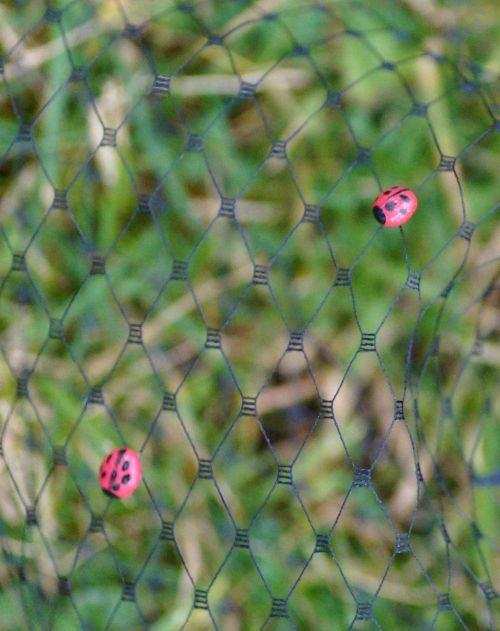 When I was a young girl, I remember my mum receiving a package in the mail, labelled "live animals" that contained a large quantity of live ladybugs. They were released in our garden to tackle an aphid problem. I thought that was pretty cool. Ladybugs are these tiny warriors, fighting for the cause of vegetables. A poster-child for Good Bugs. Last spring, I was really excited to see a lot of ladybugs in my vegetable garden, because they are so cute, but then I realised that of course they were there because of a large number of aphids. Darn. No broad beans for me! 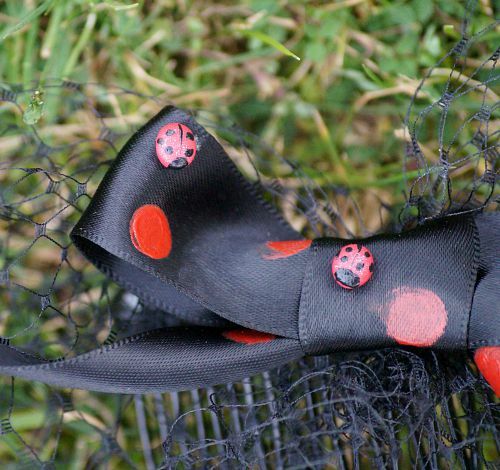 My little handmade ladybugs aren't going to defend you or your garden against aphids, but they do have the cute factor. This whimsy is quite a "make do" kind of project, because I decided to work with the materials I had, resulting in me polka-dotting my own ribbon. I can't tell if that is lazy or the opposite! 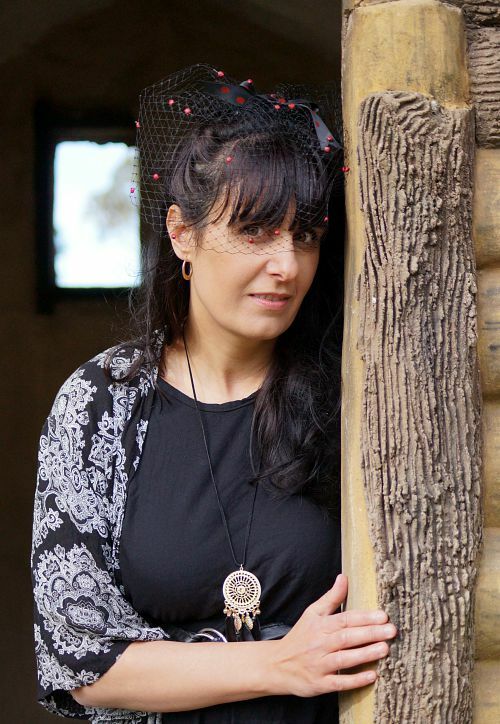 My model is local musician Snez. She suggested that we take some photos with her playing guitar, but then we both forgot about it. Sleep deprivation will do that to you. The photoshoot afternoon was a bit of a hilarious experience in modelling for new mums and separation anxiety, but I'll tell you more about that with some future photos! Make sure you don't miss out on any posts or other updates, as well as all the fun extras and links, by signing up to the newsletter. 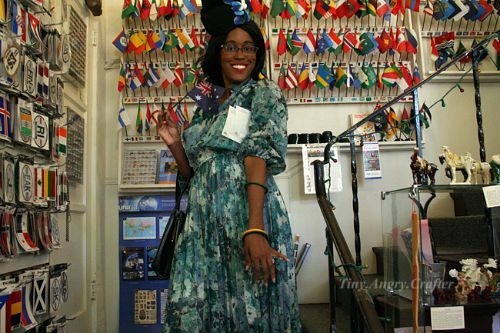 Adelaide has been visiting vintage lover, amazing dressmaker, knitter and all-round-crafter, Carla, in San Diego! Carla is another example of how amazingly sweet, generous, and friendly the people I've met through blogging are. I feel very privileged to count so many wonderful people as my friends, even if we only ever meet online! How cute is the picture with the Australian flag? Love it! Check out the rest of the photos and other great stuff at Carla's blog Tiny Angry Crafter. Adelaide is more than halfway through her travels, and I'm so excited to see the rest! Pillbox hats are a bit of an enigma, I reckon. 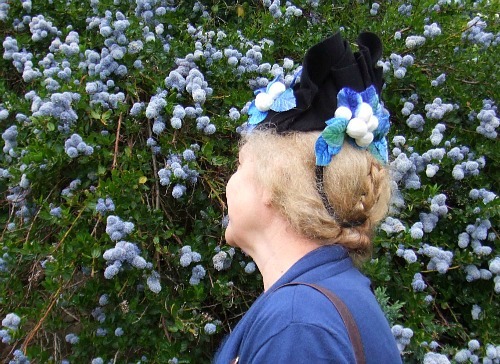 They have gone through phases of being an insanely popular style, and they are relatively easy to make, which makes them an extremely easy-to-find vintage hat style. Today pillboxes are readily available in a multitude of colours and sizes, with all sorts of trims, in genuine vintage and in modern reproductions. But, apparently, not many people wear them. 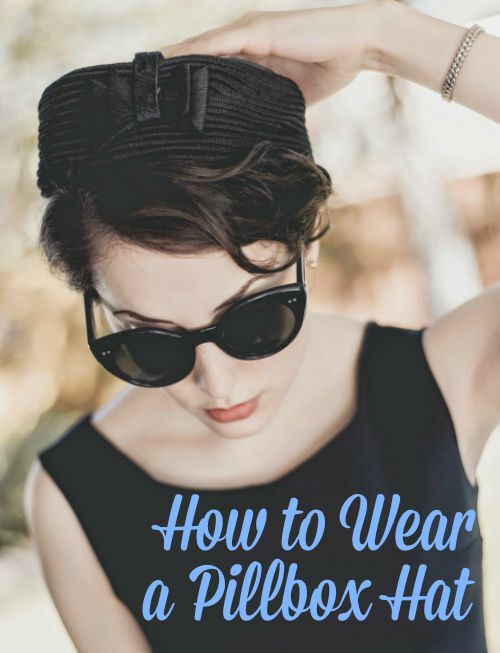 When I published my first "how to wear" post, and asked what other styles should be featured, it was pillbox hats that were most requested. And when I went looking, it wasn't exactly easy to find great outfit photos featuring pillboxes. But I persisted, and in the end I've turned up gold! If you aren't inspired by these ladies to dust off your own pillbox, I'll eat mine. When a pillbox shape first started to appear in the mainstream millinery fashion radar in the the 1930s, they were small, and worn tilted, but pillbox hats of any size can be worn angled and look fabulous. Wearing your pillbox on the side gives a great opportunity for your hair to shine on the hatless side, with curls or victory rolls for example, or a swept-to-the-side fringe. I particularly love a tilted pillbox with a party frock. 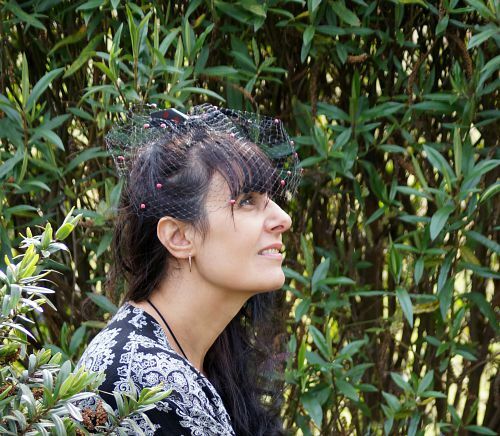 On the back of the head is the "quietest" way to wear a pillbox hat. 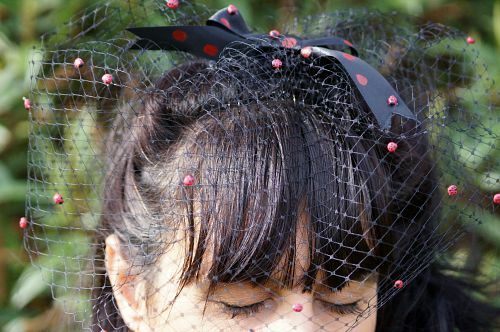 This is the way that Jackie O, Audrey Hepburn, and more recently Kate Middleton chose, and it oozes class, and can also remain really subtle, if you are tentative about your first pillbox outing. This option works perfectly with winter outfits, and also really suits a suit or a simple elegant dress. It is great for a lot of hairstyles, as long as you make sure your hair isn't going to get in the way at the back. It can show off a fringe or curls at the front beautifully. Sara, of Ladylike Delicacy, lives up to her blog's name with these very ladylike outfits, featuring classic vintage separates, with a straight, structured silhouette and fabulous jackets, in flattering neural colours. Kate mixes her pillbox with modern elements, shorter skirts/dresses and opaque tights and statement tops and jackets. (Kate's blog Schwurlie is not recently updated, but she has some great tutorials that are worth checking out, and her own excellent post on how she wears a range of hat styles) These outfits of Kate's really show how a black pillbox is not any scarier than a black beret, and is so versatile and wearable. Wearing a pillbox straight is a very classic and true-to-vintage way, and for me it is an in-between option in terms of bravery. There's no hiding it away at the back, but it's a more modern-seeming and casual-suitable way. Of course, it's going to flatten your hair a bit, so you may want to keep that in mind. It will work really well with shorter hair, a bob, or plaits. 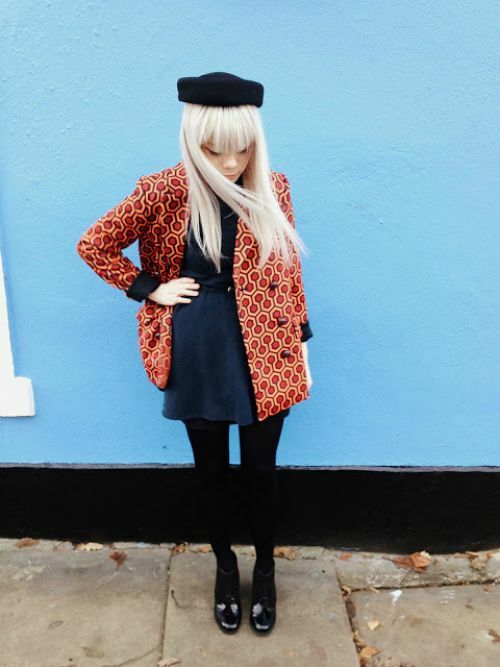 Again, I love this with winter outfits and vintage-fusion looks with jeans. 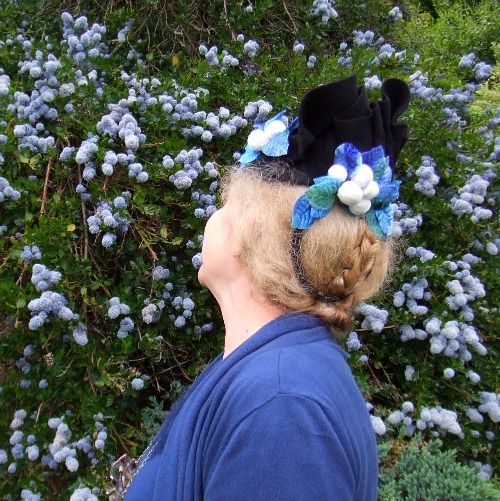 Judith, of Style Crone, is a hat lover and great promoter of hat wearing through her Hat Attack link ups, and she can wear any hat, including pillboxes, with superb style. She also wears them with jeans, and I don't know about you, but any inspiration for stylish dressing that still involves jeans is good news to me. 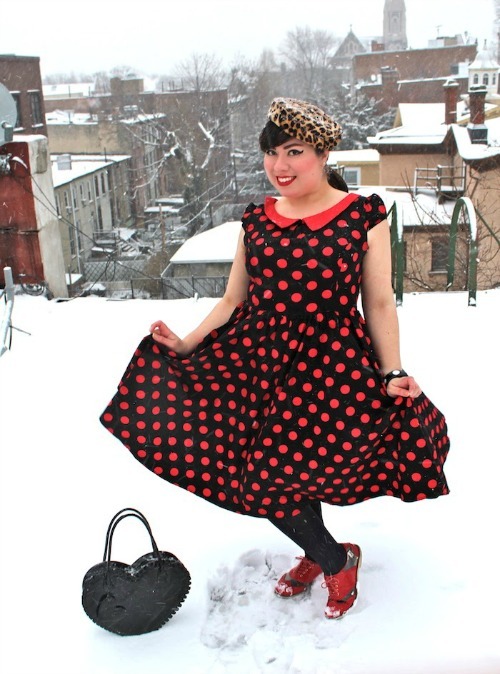 The star of my title image is Amanda, of Styleynn, who I love extra for being a vegan style blogger. 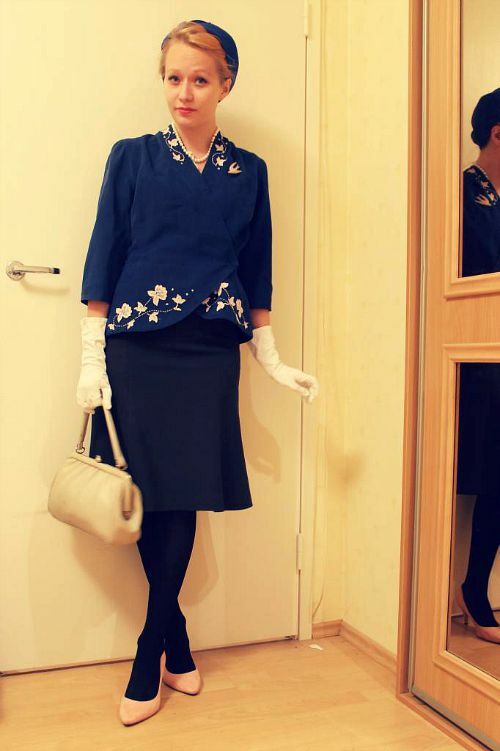 Her pillbox looks I'm sharing here are both amazing studies in all-black dressing, but show how she wears her pillbox to the side or to the back with equal ease and elegance. Heavenly. 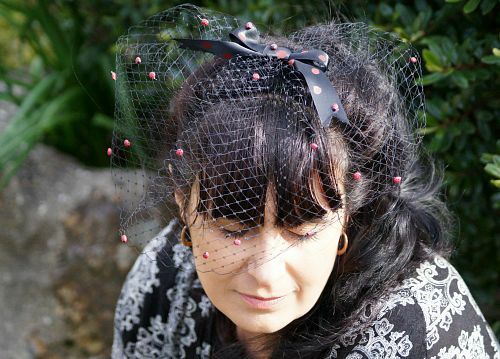 If you are nervous about going out in a pillbox, or think "I'm not a hat wearer, I can't do this," then start easy! Don't stress yourself out. Stick to neutrals colours and wear your pillbox in the winter, when at least a lot of people are wearing hats (even if they aren't as classy as yours). 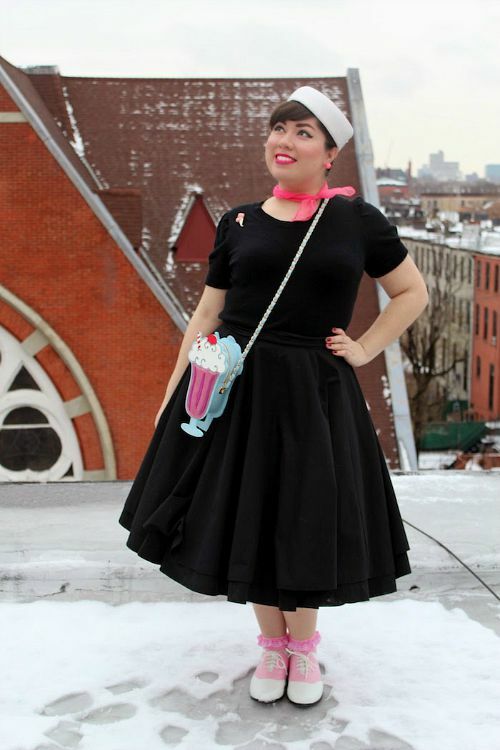 I really hope this provides you with style inspiration and I'd love to see your pillbox outfits if you take the leap. Leave a link in the comments below or tag me (@tanithrowan) on instagram or twitter. I think it's time for my good old Jackie O hat to make another appearance in my wardrobe this winter. 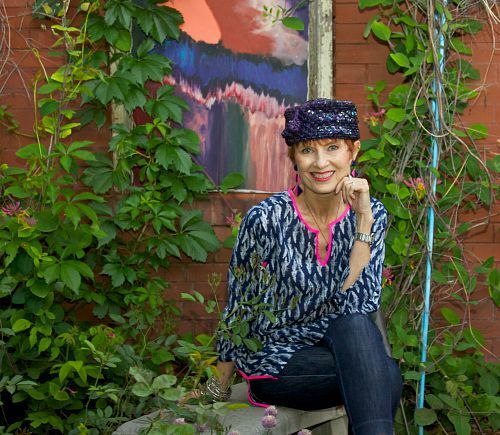 This series will be continuing with more inspiration for more hat styles, and the fortnightly newsletter has regular hat-wearing inspiration. Go on...sign up! Adelaide has arrived in North America! So exciting. First stop Alaska, where she was greeted by the lovely (and more than a little bit badass) Cherry Darling. Cherry braved a sweltering hot day in a black dress to get her beautiful photos with Adelaide, while the air was briefly clear of smoke from all the fires they are having in their Alaskan summer. Her adorable dog cupcake photobombed, but you can't be mad at that face, can you? 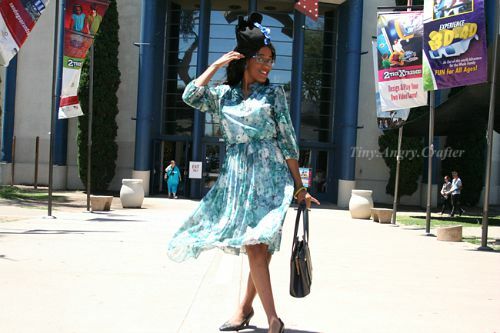 Check out the rest of the photos from Cherry's time with the travelling hat. 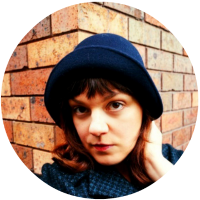 While you are there, stick around for the rest of her blog, She Knits in Pearls, for stunning vintage knitting and killer style. Want to keep up with all of Adelaide's journey? Sign up for the newsletter! Not to cast any aspersions on any of the elite sisters, but Adelaide has been visiting a extra special person recently. 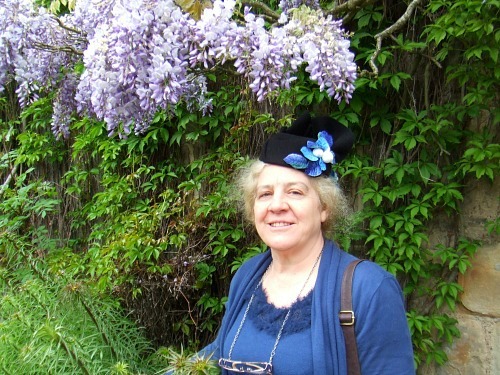 Well, let's face it, without her, there would be no Travelling Hat to begin with! Because there would be no me. That's right, Adelaide has been visiting my Mum (Felicity) in Wales. For her photoshoot, Mum took Adelaide to Chirk Castle, and found some of the most amazing backdrops in the gardens. 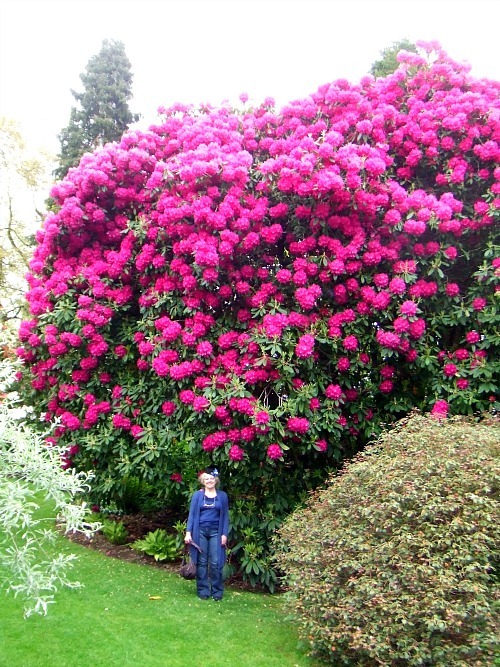 Including a ridiculously gigantic rhododendron. I do really love the back of the hat, and it just matches this plant so perfectly! Adelaide also went to work and had a bit of a dress-up party with Mum's colleagues but sadly there are no photos. I love that she is having a lot of fun adventures around the world and meeting heaps of people. That ends the European leg of Adelaide's journey. She has already arrived in the North American continent, and you'll be hearing more from her soon.